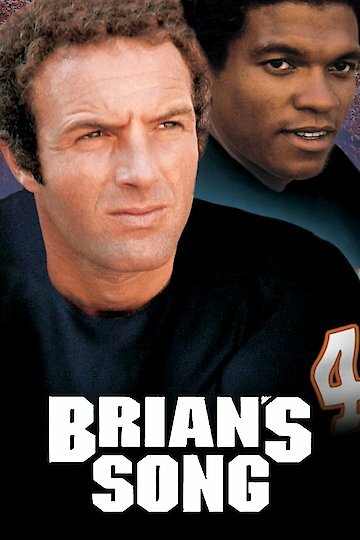 In this made-for-TV movie, Billy Dee Williams stars as real-life Chicago Bears running back Gale Sayers, whose friendship with his terminally ill teammate Brian Piccolo (played by James Caan) was detailed in Sayers' autobiography. Widely regarded as one of the best television movies ever made, the film won an Emmy Award for Best Dramatic Program, as well as Emmys for its screenplay and for the supporting performance of Jack Warden as Coach George Halas. The film originally aired on ABC in 1971, and the network produced a remake in 2001 starring Mekhi Phifer and Sean Maher. Brian's Song is currently available to watch and stream, download, buy on demand at Sling, Amazon, Vudu, Google Play, iTunes, YouTube VOD online.